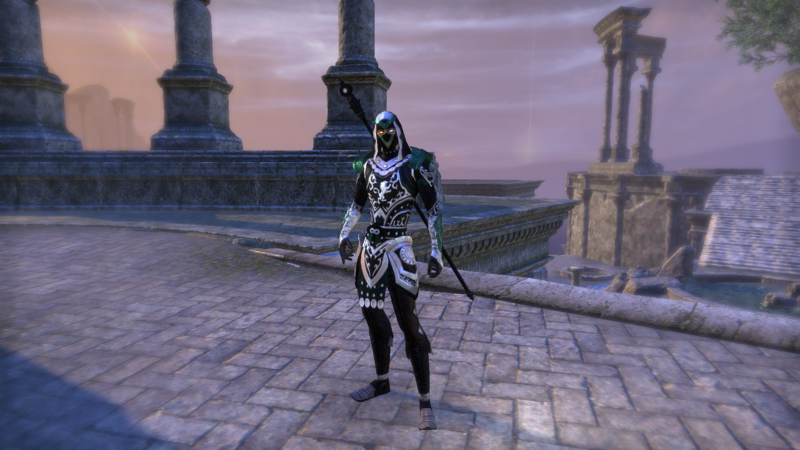 Everyone needs a magsorc, right? For the conduits at least? Can NIGHTBLADES provide conduits? I thought not. 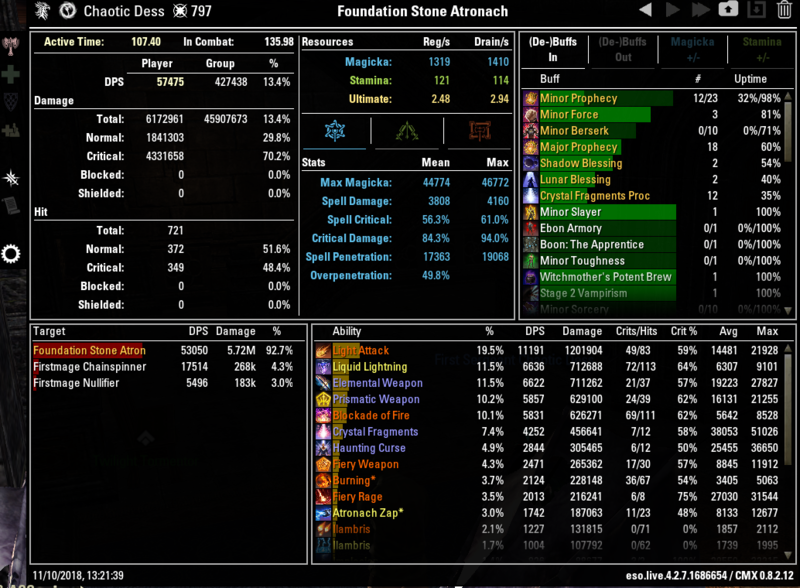 Presenting, “The Conduit Boi” magicka sorcerer DPS build. And yes, I am aware that healers are now conduit bois but let’s pretend that’s not a thing. 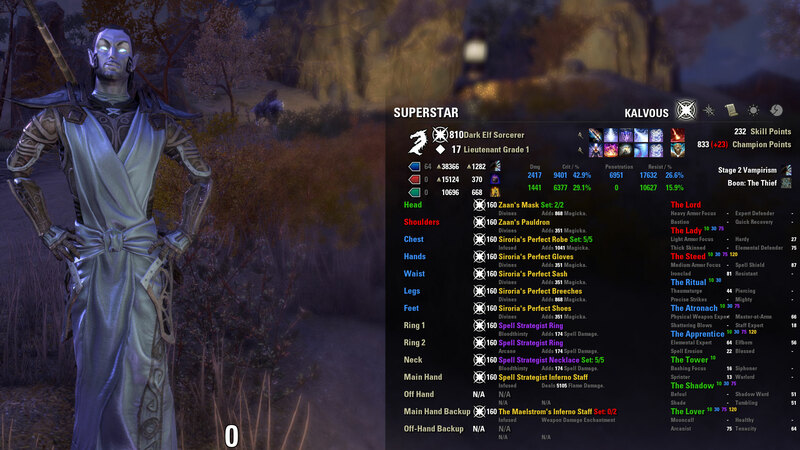 Gear Notes: Your 3 major body pieces (Head, Chest and Legs) should be infused while the rest of the armor is divine all with max magicka enchants. Your jewelry should be 2x bloodythirsty with 1x infused all spell damage enchants. Your frontbar Spell Strat Inferno is going to be fire enchant with infused while the back bar is going to be a vMA inferno infused with abosrb magicka enchant. For ease of rotation you can swap the Liquid Lightning to backbar and put shield on front bar instead. This will make for an easier rotation, however lower the dps slightly. It is a tradeoff you can make. Ilambris is used when you are further back and moving out of range. Zaan can be used in stack and burn fights or where you are in melee range. If you are not sure, use ilambris. The sorc rotation is not exactly proc based, as it is very repetitious. After the intro rotation is complete you basically spam LA and Ele weapon, procing Crystal frags every time it comes up. Once you see your liquid lightning have 2 seconds left you bar swap on the next Ele weapon then LA – blockade – LA -LL (barswap and continue) You want to apply curse as soon as it hits 0 on the time left, this lets the second detonation hit. For execution phase you keep up LL and Blockade on your back bar and just la weave mage’s wrath until boss is dead. It is absolutely important that when you apply Blockade and Liquid Lightning that blockade is used first, then Liquid Lightning. Blockade has a 8 second cooldown and ll has a 10 second cool down. Meaning by the time that you proc blockade, ll will be ready to be used. On a parsing dummy you want to use traps to keep up minor force, however on any boss fight you want to use Channeled acceleration. Additionally, for parsing you want to use mages light/aegis on your last 2 slots on both bars and have somebody provide guard/ele drain/orbs as this gets optimal DPS. What Potions? 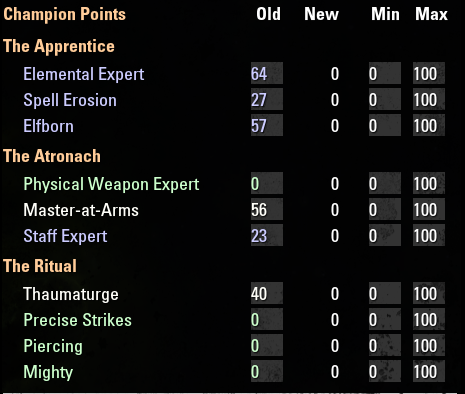 Spell Power/Spell crit and magicka regen. Any additional information? Make sure to have all class passives, as well as destro passives, light armor passives, Wind Walker from Medium Armor and Juggernaut from Heavy Armor. Additionally Vampire is not required but it sure helps with the magicka recovery. Also make sure to level undaunted passives and the medicinal use passive.